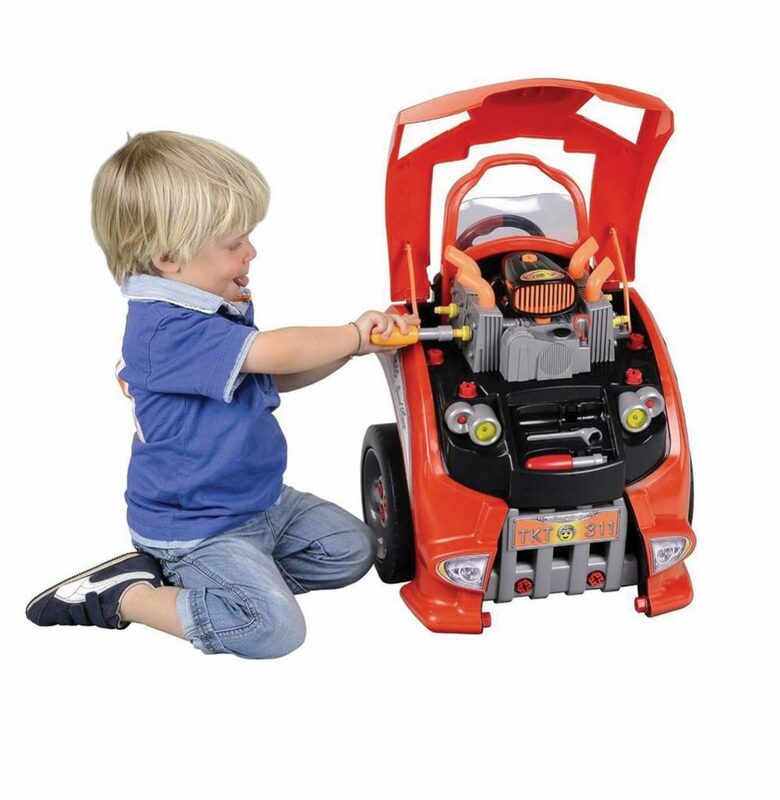 Get your kids involved in basic auto mechanics with the Service Car Station from Theo Klein. The 27-inch-tall engine compartment allows for 15 different repairs, such as major engine components, spark plugs, radiator, air filter, wheel nuts and grille. The headlights and horn also work and turning the ignition key brings the engine to life. In back there’s a ramp and storage space for Hot Wheels-type toy cars (not included). The Service Car Station, appropriate for children ages 3 and up, also comes with the correct tools. Order one for $100 from www.amazon.com or www.walmart.com.